Project Textbook is a project by A*Star Education Ltd committed to reducing the price of textbooks and other educational resources for schools. Like us, do you wonder why the price of textbooks is so high? Perhaps the recent shareholders’ revolt over the pay of the chief executive of one major educational publisher indicates part of the reason. Whatever the reason, new syllabuses for GCSE, with a range of options, and the consequent need for new textbooks for each, put severe strain on school budgets. 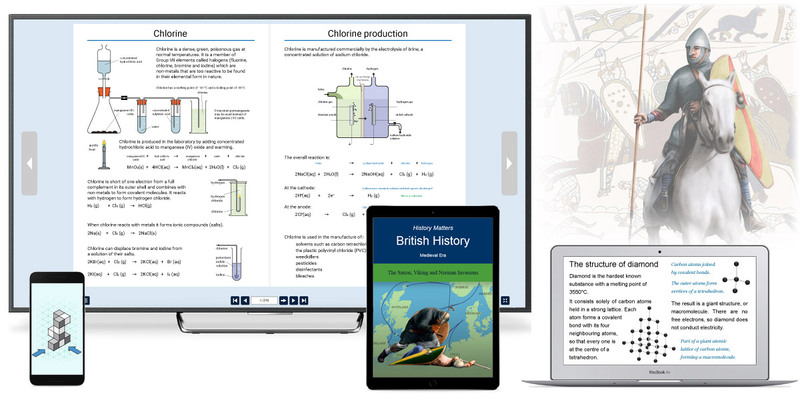 For history, mathematics and science, we are releasing access to e-textbooks, interactive presentations and other resources appropriate to the subject (timelines for history, assessment for mathematics etc) for an all-inclusive annual subscription — at a tiny price. Subject matter is covered in depth — there are 27 e-books in just the First World War history collections alone, with over 1,600 photographs and illustrations. The Saxons, Vikings and Normans collections include some GCSE textbooks for the new syllabus British Depth Studies. All content runs on PCs, tablets and mobile phones so it can be accessed anywhere, even without an internet connection. 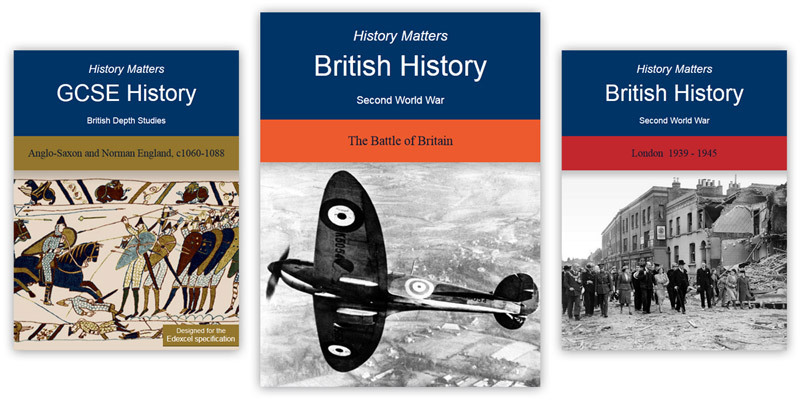 An annual subscription to the History Matters resources costs just £80 (plus VAT) for whole-school access — so teachers, students (and their parents) can use it. Compare that price to the cost of providing just one class set of a GCSE history textbooks from a traditional publisher, either paperback or e-book! Visit www.history-matters.co.uk to get the benefits for your school straight away. Too good to be true? If you are a school leader, contact us to ask for one week’s free access and see for yourself.